Addressing the representatives of the United Nations' member countries, the WikiLeaks founder spoke of the difference between words and actions, praising US President Barack Obama for his words. "We commend and agree with the words that peace can be achieved… But the time for words has run out. 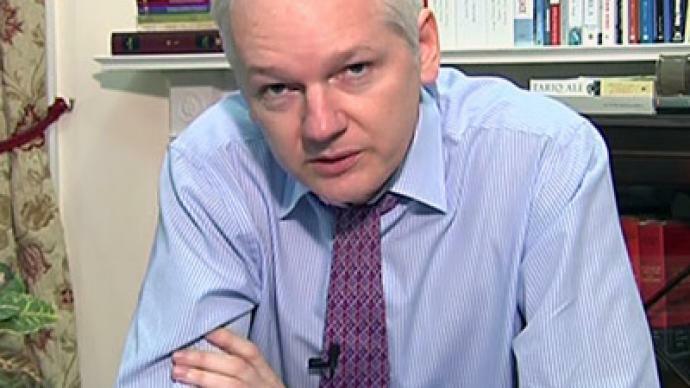 It is time for the US to cease its persecution of WikiLeaks, our people and our sources." Assange was highly critical of US involvement in the Arab Spring, denouncing Obama as audacious for exploiting it. He added that it is "disrespectful of the dead" to claim that the US has supported forces of change. "Was it not audacious for the US President to say that his country supported the forces of change in the Arab Spring? Tunisian history did not begin in December 2010, and Mohamed Bouazizi did not set himself on fire so that Barack Obama could be re-elected," Assange told the panel. "The world knew after reading WikiLeaks that Ben Ali and his government had for long years enjoyed the indifference, if not the support, of the US, in full knowledge of its excesses and its crimes. So it must come as a surprise to the Tunisians that the US supported the forces of change in their country, and it must come as a surprise to the Egyptian teenagers who washed American tear gas out of their eyes, that the US administration supported change in Egypt"
Julian Assange also spoke at length about Bradley Manning, the US private accused of supplying WikiLeaks with hundreds of sensitive diplomatic and military cables. Assange accused the US government of detaining Manning without charge and mistreating him, even attempting to offer him a deal in exchange for Manning's testimony against Assange. The WikiLeaks founder told the UN panel that Bradley Manning, accused of 'death penalty crimes', was "degraded, abused and psychologically tortured." The Ecuador FM also said that Assange's right to freedom must be respected. "I don’t know any case in history where diplomatic asylum did not end in freedom for the person. I hope this will not be an exception in history. Every country must respect the right of the country granting asylum and the person who was granted it." 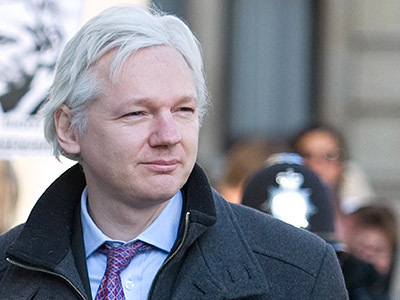 Julian Assange told journalists present at the UN GA panel that "both the UK and Sweden have refused to offer guarantees" that he would not be extradited to the US, where both he and WikiLeaks have been declared 'enemies of the state' by the milatary, putting them in the same legal category as Al-Qaeda and the Taliban.